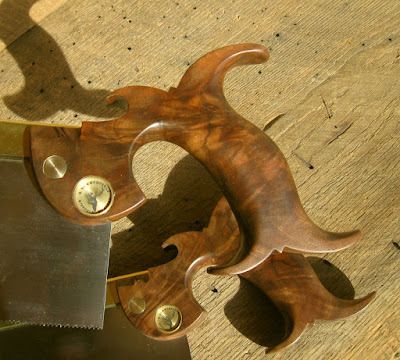 As time allows, I've been slowly working on building two matching sets of heirloom saws. Each set will contain about a dozen saws (number still to be determined) ranging is size from an 8" gent's saw to a 28" rip saw. All saws in both sets will have figured walnut handles. When these sets are eventually done, one set will remain in my family, hopefully forever. I have no plans to ever use these saw, but will rather leave them in pristine condition for my heirs. I plan to sell the other set in order to cover some of my saw making expenses. Hopefully it will also go to someone who appreciates its heirloom quality. The gent's saws and the table saws in these sets have been done for awhile now. This week I completed the third saws in the sets, the 10" dovetail saws. 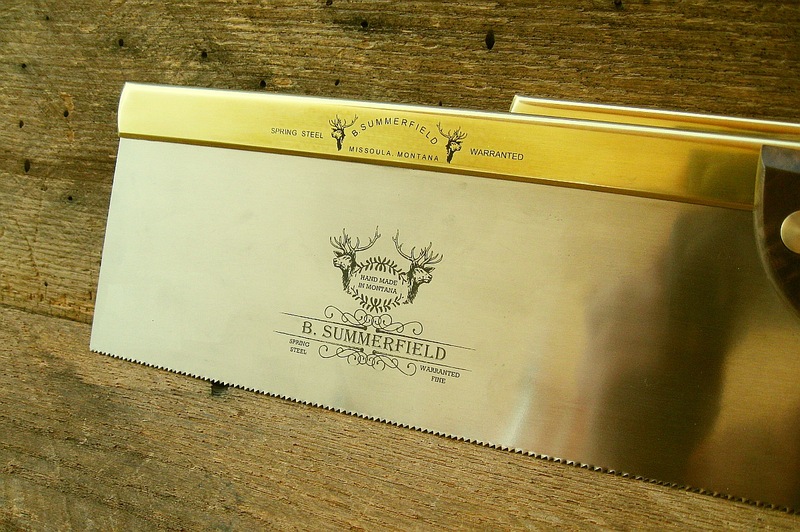 These saws have traditional folded brass backs, walnut open handles, and are filed as rip saws at 14 ppi. It will take me awhile to finish these sets while fitting them in among other work. But at least I have a good start.